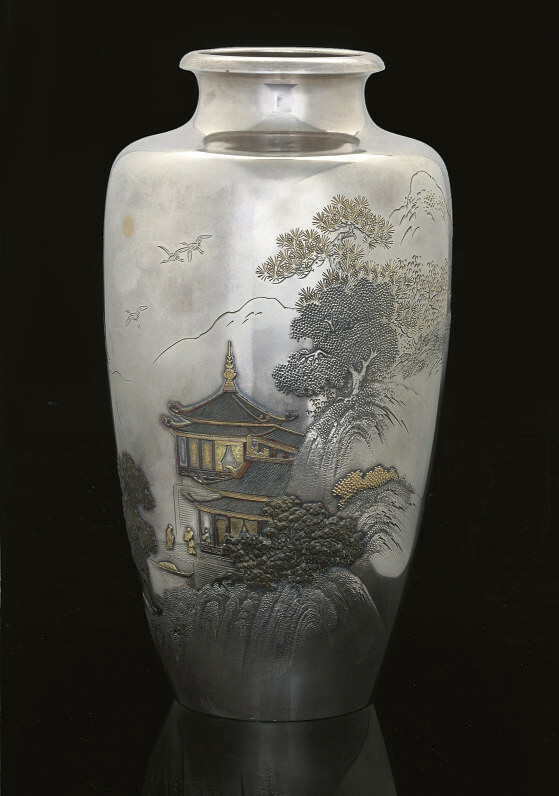 worked in takazogan and hirazogan with gold and copper inlay, depicting a beautiful pavilion, with figures welcoming a guest alighting from a boat, the scene set in a seascape and surrounded by a flowering garden with mountains beyond, signed Hirokatsu koku -- 12 1/8in. (30.7cm.) high.